Did you watch the Superbowl last night? We were supposed to go to a party at a friend's house but ended up with a sick kid so we stayed home. I made Buffalo Chicken dip, Pizza dip, Terriyaki meatballs, homemade guacomole, and turkey tortilla pinwheels. So.Much.Food. We'll have leftovers for days. But that means I don't have to cook this week. Winning! I didn't care at all about the game. Just the commercials and the food. And I was excited for The Voice after the game. Did you watch that? Ohmygoodness, I love that show!! Early favorites are the opera singer from Wichita, Chris Mann. It's on again tonight. You should watch. I found this image the other day and loved it. It is so true!! 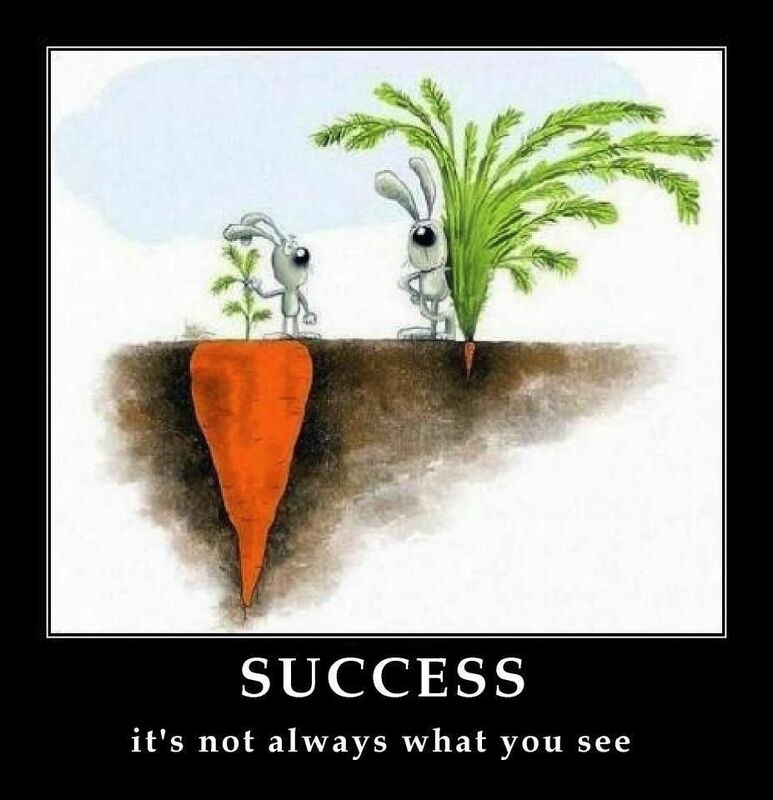 Success is not always what's seen on the surface. We listed a new necklace in the shop the other day. And just because my coffee has kicked in today, let's do a giveaway. To enter: Leave a comment telling whether or not you watched the SuperBowl. For additional entries: Facebook about this giveaway. Tweet it. Pin one of the above images (or something from our shop) to pinterest. I watched most of the game. As much as my 2 year old would let me! Husband and I watched the game at home. He made chicken wings, two flavors, potato skins and grilled vegies. He's a champ! I was disappointed that I had seen most of the commercials earlier in the week. I watched the Super Bowl! Pinninhg your hearts! So sweet! I watched the Super Bowl. Not the best Super Bowl I've watched but it was more about hanging out with friends and family this year. My husband watched the entire game at work, hes a firefighter. I on the other hand only partook of the halftime show! go MADGE! I watched the Super Bowl for the game AND the commercials. I had it on mute during the game to chit chat with a friend and then turned it up during the commercials! I did watch the Super Bowl, well, in between feeding kids and breaking up sibling arguments, lol! Kind of watched, but not really. The tv was on and would occasionally watch a bit here and there. I watched the halftime show at the laundromat, does that count? The food turned out *great, though, and we ended up have good family time together anyway, so it wasn't a bad thing. Just kind of an odd deal. I watched the ads. And watched my husband root for the opposing team of our host - which almost earned him a spot on the porch! And watched our son tire out the kitten! Great game, ha ha! Watched it though I'm not a big football fan! Nice evening relaxing with hubby though! I watched part of it. Watched a little after the girls went to bed, went upstairs to do a little crafting, and then came back for the furious finish. I just pinned a couple of images here. The gorgeous necklace, of course! And the Success image. I love it and so true! I've Shared this giveaway on FB! I wanted to, we even went to a party, but I only got to watch 1 quarter, I spent he rest of the time baby/child wrangling. so annoying! I only watched 30 min of it! Went to a great party - ate too much fabulous food - laughed at my husband yelling at the teams - played Dutch Blitz with the girlfriends and enjoyed all the toddlers and babies! With six kids I only watched part of it. Love the new necklace. I watched part of it before I passed out. Didn't watch it. Sick hubby and 2 little ones to wrangle to bed. Did not watch it, watched the puppy bowl though!!! Too cute!! I watched the end. At a party and playing with little kids most of the game. Because of the time zone difference between Zurich and Indy, I missed the game...meaning, I REALLY missed eating 43 different kinds of dip and desserts and being with my dear friends. I did watch! Go Giants! I watched the game with my hubby while playing with my one year old son. He had fun dancing to the commercials. We watched the Super Bowl! I was mostly disappointed with the commercials, but I liked Madonna's halftime show. I did not watch the superbowl but i am glad the Giants won. I pinned a picture from the site to Pinterest! I was at a superbowl party... does that count? I watched for a few seconds! My husband and I watched the Super Bowl with our almost 2-year-old son and it was so fun! Go Giants! I watched the boring superbowl..Had fun watching my kids laugh and dance to the commercials! Thanks for the chance! Of course we watched the Super Bowl! We had a party, didn't care who won, just had fun! And loved the commercials! I watched as much as my sick body could stay awake. Madonna is older than me so if I can't be in amazing shape I hope this comment makes me skinny! 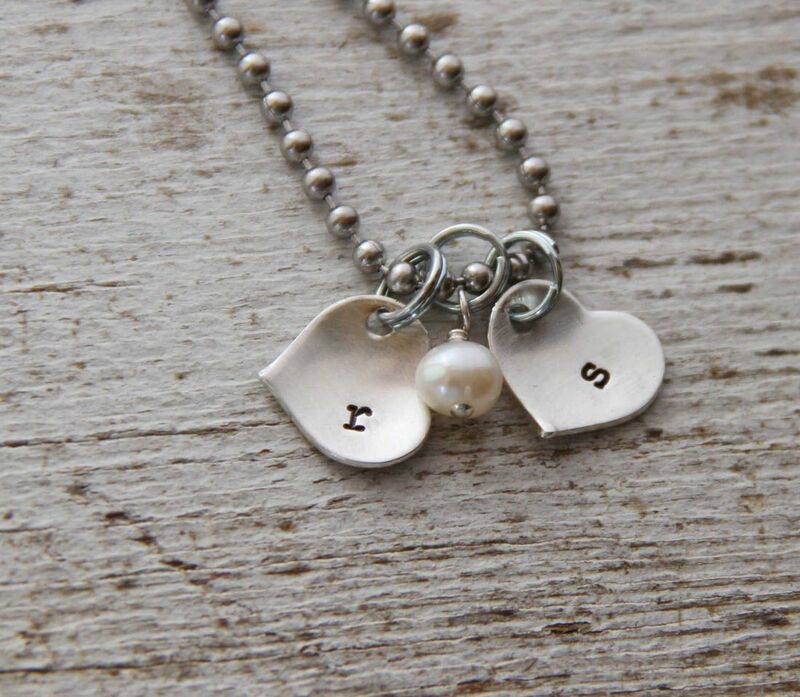 I have one of your necklaces pinned on pintrest in my stuff I love to love album! :) Hope I win! I pinned the Anna earrings from the shop! I love those! Had friends over and I watched the last 5 minutes! We watched the Superbowl. I feel sorry for the Patriots because I doomed them by going for them. Every team I've gone for in the post-season has lost! I kind of watched it. I was making party favors for my daughter's birthday party and valentine's day gifts for her teachers. I did watch most of the game...only football game I've watched all season so you can tell I'm a huge fan! I did not watch the Super Bowl. I worked. But then I did have some nachos in honor of the game after I got home. watched it with my teenage son !!! I watched parts of the Super Bowl in between playing with my adorable nieces and nephews. Those little kiddos were the best part of the evening. i watched the last 10 minutes of the game. I pinned the tiny hearts! love it! I pinned your whole. Blog address to stuff I like! I watched, usually I cheer for whoever has the ball, which means in the end, my team ALWAYS wins, but this year I was a bit peeved with a particular team for what I thought was poor sportsmanship (letting a player go on the eve of the SB) so I actually chose a team, the Giants, and paid attention and had the longest minute of my life as the final minute played out. Even better, the better team (in my opinion) won. Didn't watch the super bowl but made/ate lots of good food. YAY for good food! I watched a little, ate a little, and played a little. did not watch but did watch a re-post of Madonna's half time show! I watched the first half and the half time. Not too exciting. I mostly watched for the comemrcials....they were okay. I watched the Super Bowl - most of it! I pinned the Success poster! So true. I tweeted the giveaway. So nice! We watched the last 3 minutes of it! Heard the commercials weren't up to the usual Superbowl greatness. I'm glad your coffee kicked in, cause this is an awesome giveaway! Didn't even walk in to the Living room while the game was on. Stayed at the table with the ladies! Love all the food, though! I am dying for that new Teeny Hearts Necklace!!! I pinned your be free necklace! I watched the superbowl with my football-loving boys! I watched the Superbowl. We tuned in for the last part of the game and we got to see that sweet catch from Manning to Manningham. It was a good game. But, I do watch it for the commercials which are the best!! I didn't watch the SB. We had a birthday party, and when everyone went home, we watched CARS 2 (a b-day gift), and ate homemade Bavarian pretzels courtesy of my husband, the baker. Then I watched Downton Abbey on Masterpiece Theatre - my new favorite!!! I watched bits and pieces of it, but most of the fourth quarter. Love your stuff! It was on while I finished reading my book. Hubby was watching. Nope! No football for me. Love your new necklace, it's so sweet. Thanks for the chance to win! I was in the room for the game...I watched sporadically as I was studying for an exam. But I, too, mainly watch for the commercials. I pinned you (should have done that a long time ago!) and I shared on FB. I did watch it , but could care less as my team did not make it :( I watched for the commercials and half time show ( which I thought was much better than the last couple years). I LOVE the voice too ! One of my favs so far was the "Janis Joplin" sounding rocker chic ! I think it will be an interesting season ! I pinned your necklace to my "Products I Love " board. I watched the Superbowl, glad the Giants won :) Also watched The Voice for the first time, LOVE Blake Shelton as well so I think I'll keep up with it. And also pinned on Pinterest! I pinned to my Pinterest page! I watched Super Bowl. Wasn't a fan of the teams in it though. Loved the Doritos commerical with the dog!! Posted the quote picture to my Pinterest. I went to a Super Bowl party and the game was on but I still couldn't tell you which teams were playing. I was way more into the food and the conversation. I did watch Madonna and can tell you all about her show! I watched the Super Bowl. Yay Giants! Then I watched the Voice for the first time with my sis, she loves it and I now love it too. Team Blake and Team Adam for me. Pinning this to Pinterest now that I officially have an account there and on my FB. I did watch the commercials:) and The Voice. I watched the last 53 seconds of the game! Watched the game and found Clint Eastwood's commercial to be the best part by far!! yes I watched it..and yes I eat lots of yummers! oh and I LOVE your jewelry..I wear my captivated necklace all the time! I watched the first half of the game at my brother's house and then had an emergency at home with our goat and had to leave early and missed the entire 2nd half! booo! I did not watch the Superbowl. I did some crafting instead. I pinned this necklace on pinterest! I love anything with letters or initials on it. I watched the super bowl and glad it was not a blowout for either team! love the new design. thanks for the giveaway! I shared this on my page on Facebook, so I hope that my friends in Tasmania, Australia will love your jewellry a much as me. I want tp make an order for my three grand-daughters, but I am still making up my mind about what I will choose. I watched the Super Bowl between cooking, keeping an eye on my handsome grandson and helping my daughter with home work...what a multi-tasker! Hubs and I watched the 4th quarter. That's the best part of the game!!! I'm not a huge fan but I the hubs had it on so it was hard to miss. I watched it while cooking and packing orders. I made fajitas for dinner (which my hubby thought was good game food until he found out they were tofu fajitas). But they were yummy, so all was forgiven! I watched it and was SO glad the Giants won! I am a Colts fan first, and a Giants fan second. Love those Manning brothers! I watched a little bit of the game..mostly just wanted to see the commercials. Kind of half watched it and half read a book. Not a huge football fan but it's kind of fun to watch the commercials and the halftime show. Your food sounds yummy! I pinned the necklace onto my jewelry board on Pinterest. I watched bits and pieces of the game. =) I only watch it for the commercials too. I watched the Super Bowl with our friends from College & their kids. Enjoyed lots of great food & cold beer! I pinned the teeny hearts necklace on Pinterest. So dainty & romantic! I only watched the halftime show! I had it on, but can't say I really watched it. We watched and I also made a ton of food- sweet pork tacos, guacamole, and chocolate chip brownies for dessert! Yum! I watched the commercials and halftime show! I did watch the Super Bowl, especially for the commercials, but the game was a good one! Also watched the Voice and I love Team Blake, too! Watched the super bowl at a friends but really just there for the food. We watched, it was a fun game to watch. Well if you wanted the Giants to win, like we did! I watched and loved the vw commercial. Watched some of it...caught the halftime show and the ending...great game! yes I watched the superbowl- love the food, friends and commercials! I did get to watch a new episode of Downton Abbey as PBS has it on their website till sometime in March to see the new season! Didn't watch the super bowl... but we did watch the puppy bowl... much nicer!!! watched what i could...had an AMAZING youth group that night. but Brady dissapointed me :( can't wait for the start of football again! 8 months, baby. I definitely watched the Super Bowl! I watched the game and made fun food too....only time I enjoy commercials! LOL! I watched it.. well kind of .. in-between eating and drinking. I pinned and facebook'ed!!! And, I added bacon to my guacamole this year. Holy cow. You should make an "I (heart) bacon" necklace. I watched it in between eating and drinking! I facebook'ed and pinned!! :) Sure hope I win! There are a ton of things that I want!! I watched... for the commercials and the final 2 minutes of the game. It wasn't much of a game until the final 2 minutes. i'm from the Philippines and didn't watch although i've been wanting to watch the commercials and half time! thanks for the chance to win! Of course...but only to see the commercials and halftime show....I have to say that The Voice commercial with Betty White was my favorite!! & I pinned it to my wishlist board! Watched the super bowl - but didn't really care who won! I didn't watch the superbowl. You have really cute stuff. I didn't watch a darn second of it. Just wasn't in the mood. I did not watch the super bowl! Beautiful image and gorgeous necklace!!! !I only watched the halftime show. Thanks for the chance! We went to a superbowl party at our church. Our half time show was US all singing praise music!